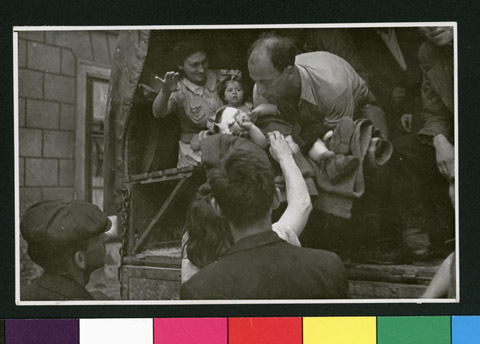 JDC - Archives : Man lifting a baby onto a truck heading to a DP center. Search > Search Results > Man lifting a baby onto a truck heading to a DP center. Title Man lifting a baby onto a truck heading to a DP center.